Dental care may be key to proper medical coverage | Lewis & Ellis Inc.
As one might suspect, having access to good dental coverage is a key component of strong health overall, but the American health care system keeps these two issues quite separate in many cases. While most people with dental coverage get it as part of their employer-sponsored health care packages, many are forced to go without, and could suffer potentially life-altering, expensive consequences. Take, for example, a recent study that found a link between gum disease and Alzheimer's. According to the American Academy of Periodontology, the study found that the bacteria known as p. gingivalis was found in the brain tissue, spinal fluid and saliva of Alzheimer's patient at stunning rates, including 96 percent in brain tissue from deceased patients. Anyone in the health care profession knows how costly and difficult it is to treat Alzheimer's, a serious degenerative brain disease, but it seems fighting it before it starts may begin with a healthy and well-cared-for mouth, the AAP noted. "Periodontists have long known that a healthy mouth contributes to a healthy body, and research has suggested an association between periodontal disease and dementia conditions, such as Alzheimer's," said Dr. Richard Kao, DDS, PhD, president of the American Academy of Periodontology. "These recent findings present strong evidence on how periodontal disease can impact the pathogenesis of Alzheimer's disease and should highlight how crucial it is to manage periodontal disease, especially in older adults or individuals who have increased risk for dementia." Without the right coverage, a trip to the dentist can be quite costly. As far as a lack of dental coverage in the U.S. goes, tens of millions of people across the country go without such treatment each year, either because there are few if any qualified care providers in their area or because they lack insurance that will cover such treatments, according to Families USA. Prior to the implementation of the Affordable Care Act's coverage mandate, about a quarter of all Americans with some kind of health insurance did not have dental coverage included. When Americans don't have dental coverage, they often simply go without it, the report said. The alternative is to rack up potentially significant medical bills that they may not be able to pay back. Dental bills are already the nation's second-largest out-of-pocket expenditure, behind prescription drugs, totaling in the tens of billions of dollars in annual payouts. all too often the dental care consumers receive isn't from a dentist's office, but rather from an emergency room. This comes despite the fact that more than half of all kids today have tooth decay in their baby teeth or permanents, the data showed. Across the U.S., the generation most at risk for Alzheimer's and other grave diseases are also disproportionately left uncovered for dental treatment, according to new analysis from the Kaiser Family Foundation. Nationwide, nearly 2 in every 3 people on Medicare - totaling some 37 million - do not have dental coverage of any kind, because Medicare does not cover even normal preventive care, let alone more costly dental care older people usually need. "37 million people on Medicare do not have dental coverage." The other one-third of Medicare recipients who have dental coverage do so through Medicare Advantage, Medicaid or private plans, the report said. Often, these only cover lower-cost preventive care that does not include more expensive treatments, leaving older people - who tend to be on more modest, fixed incomes - paying out of pocket for care. As a result, 49 percent of Medicare enrollees haven't been to the dentist at any point in the last 12 months, and 19 percent spent more than $1,000 out of pocket on such care as recently as 2016. Almost 1 in 6 respondents in the poll said they have no remaining natural teeth. The reason the denture issue is such a big problem for older Americans who do not have dental coverage is simple: Many are covered for prescription medications, and one of the most common side effects for such drugs is dry mouth, Kaiser further noted. More than half of all seniors take at least four prescription drugs, increasing their risk for dry mouth being a side effect for at least one of the medications they take. People are increasingly likely to lose all their teeth as they age: This is the case for 12 percent of people between the ages of 65 and 74, but 20 percent for those 75 to 80. A combination of dry mouth and dentures can be a serious one, leading the implants to loosen and cause significant side effects, the report said. These include painful ulcerations, as well as difficulty chewing and swallowing, and even issues that can result in worsening nutrition. Losing teeth and even having dentures can lead seniors to withdraw from social interaction due to embarrassment. Indeed, 18 percent of Medicare beneficiaries say they already have troubling chewing and swallowing, but this disproportionately impacts low-income seniors (29 percent) and those with disabilities under the age of 65 who are nonetheless on Medicare (33 percent), the study showed. About 1 in 7 had the kind of ulcerations that stem from the combination of dry mouth and dentures, and more than 2 in 3 had some sort of gum disease, potentially increasing their risk factor for Alzheimer's. 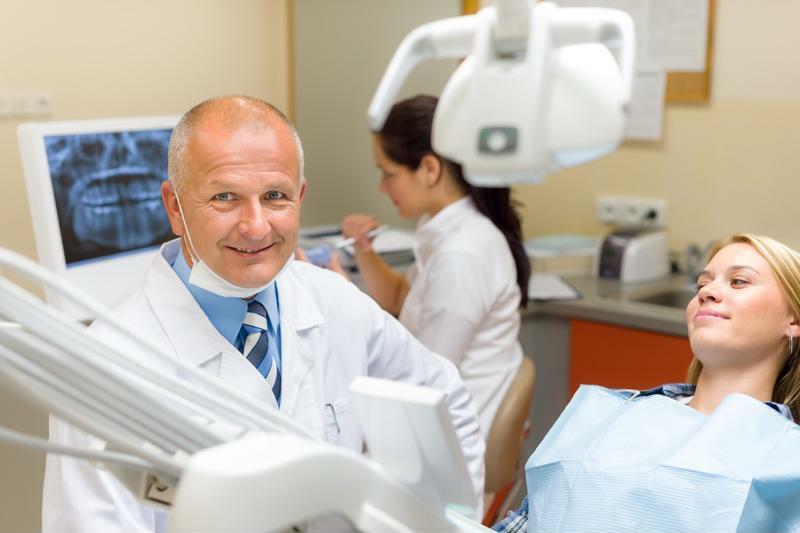 The good news for Americans concerned about the disparity between medical care and access to dental treatment is that lawmakers seem to be increasingly recognizing the relationship between the two. In Maine, for example, two bills were recently the subject of public hearings held by the state legislature's Health and Human Services Committee, according to the Bangor Daily News. One of these would expand dental coverage for Medicaid recipients in the state, and require private health insurers to provide comprehensive dental coverage as part of broader packages. It would also mandate that dentists provide more care at low or no cost to Maine residents who have no health insurance at all. And in nearby Vermont, lawmakers are weighing a similar measure, according to VTDigger. While 97 percent of residents have health insurance, only about 3 in 5 have dental coverage, so the state is looking to nearly double its Medicaid program's maximum coverage for dental care - to about $1,000, which would not count the cost of two preventive checkups per year. In states where broadening coverage options aren't yet being considered by lawmakers, consumers are increasingly turning to other measures to meet their care needs without taking on huge costs, according to the Honolulu Star Advertiser. For instance, "discount plans" on dental care seem to be growing in popularity, because while they are not insurance - and therefore don't entirely cover various treatment options, including routine checkups - they can reduce the cost of dental care by as much as 60 percent in some cases. "40% of people on discount plans are between 56 and 75." Data from the Consumer Health Alliance finds that about 40 percent of the people covered by these programs, which include only about 1 in 20 people overall nationwide, are between the ages of 56 and 75. These plans often cost somewhere between $200 and $400 per year, versus the roughly $600 cost of private dental coverage, not including copays or coinsurance. Whether that makes them a good option for the average patient is up for debate, of course. Depending upon how much treatment they receive in a given year, they might recoup those costs. Certainly, it's incumbent upon insurers and brokers to make sure their policyholders know what is and isn't covered by dental insurance if they have it, or what kind of coverage options might be available to them if they do not. The better the understanding consumers have, the more likely they are to be satisfied with their choices.